Republican Rep. Bruce Poliquin requested a recount Monday of results in Maine’s 2nd Congressional District race, citing concerns about the transparency of the “computer-engineered” ranked-choice voting results. To overturn the election results, Poliquin will have to erase a more than 3,500-vote lead Democrat Jared Golden holds following the nation’s first use of ranked-choice voting to decide a congressional election. In a statement, Poliquin’s campaign talked about “frightened” voters as well as the use of “artificial intelligence” and “black box” voting systems to decide the outcome of Maine’s historic election. Poliquin also is challenging the constitutionality of ranked-choice voting, which was approved by voters twice at the ballot box. A federal judge is slated to hear arguments in that lawsuit next month. “While he is within his rights to pay for a recount, Bruce Poliquin is not likely to overcome his 3,000 -vote deficit,” Golden said. “My immediate concern during this transition period is that the important constituent work currently being handled by Poliquin’s office be transferred to my staff as smoothly as possible. Poliquin’s request will kick-start an unprecedented and lengthy recount process for the ranked-choice election. The Secretary of State’s Office has estimated that a hand-recount of the nearly 300,000 ballots cast in the 2nd District race could take up to four weeks to complete. The first step will be for state police to gather paper ballots from towns that sent digitized images of ballots to Augusta prior to the ranked-choice voting tabulations. Paper ballots from towns that hand-tally voting results on Election Day already are being stored in a secured room in Augusta. Teams of attorneys and recount participants from both campaigns would then begin the methodical and laborious process of hand-counting ballots town-by-town, setting aside any “disputed ballots.” The process repeats itself for each round of ranked-choice voting as the teams hand-tabulate the second- and third-choice preferences of voters whose candidates were eliminated from contention. Poliquin is trailing Golden – a state lawmaker from Lewiston and a Marine Corps veteran – by 3,509 votes based on the official results of the Nov. 15 ranked-choice runoff in the 2nd District race. That is a larger margin than the 2,905-vote gap announced immediately after the ranked-choice runoff. Dunlap’s office attributed the discrepancy to the fact that voting results from six towns did not upload properly into the software. In the days following the ranked-choice runoff, Poliquin’s supporters suggested that a recount should focus on the more than 6,000 “undervotes” and “overvotes” registered during the ranked-choice runoff. 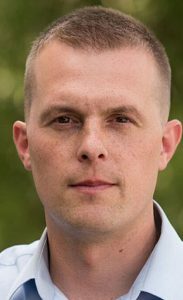 An “undervote” occurred when an individual cast a ballot without voting in the 2nd District race or skipped the first-choice and second-choice rankings. An “overvote” occurred when an individual marked more than one person as their “first choice” candidate. Overcoming a 3,500-vote deficit will not be easy, however, because that represents more than 1 percent of the roughly 300,000 ballots cast in the 2nd District on Nov. 6. Poliquin paid a $5,000 deposit Monday and would be required to reimburse the state for the entire cost of the hand-recount if Golden is declared the winner at the end of the process. This November was the first time in Maine – or the nation – ranked-choice voting was used to fill a federal office. Approved twice at the ballot box by Maine voters, the process allows voters to rank contenders in races with three or more candidates in order of preference on the ballot sheet. If any candidate receives majority support on the first tally, they are declared the winner and the election is over. If no one receives a majority, however, the candidate with the least number of votes is eliminated and that candidate’s votes are reallocated to the candidate they ranked second. That process continues – with candidates eliminated from the bottom up and their supporters’ votes redistributed – until one candidate secures a majority of the remaining vote pool. Poliquin entered the Nov. 15 runoff leading Golden by more than 2,600 votes after the first tally of ballots cast on Election Day, However, Golden surged past Poliquin after the second- or third-choice preferences of two independents in the race – Tiffany Bond and William Hoar – were reallocated to the two front-runners by a computer running the ranked-choice software. 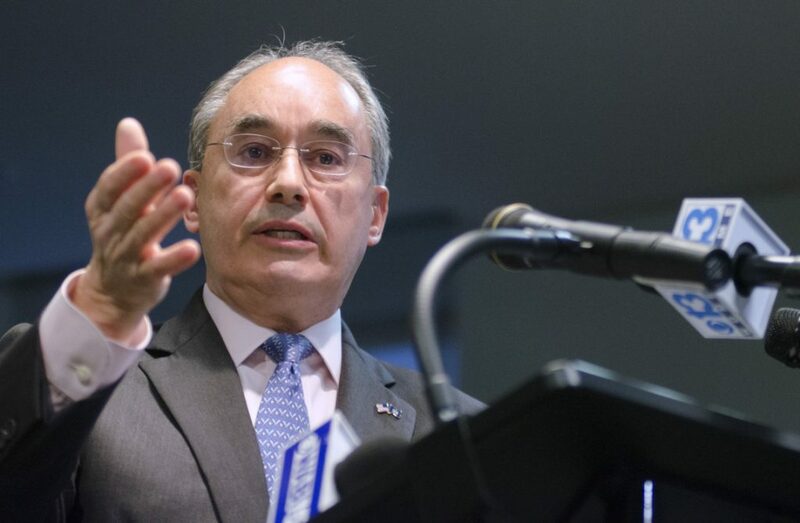 Immediately after the tabulation, Poliquin vowed to pursue a lawsuit challenging the constitutionality of ranked-choice voting but was mum on a potential recount request. U.S. District Court Judge Lance Walker rejected an earlier request by Poliquin and three 2nd District voters to halt the ranked-choice tabulations. But Walker agreed to hear arguments on the larger case on Dec. 5.